Whenever I’m asked about what it’s like to work on campus at the University of Bradford, the main thing that springs to mind is what a friendly, welcoming environment it is. There are many reasons for this; one of them is the fantastic working relationships between staff and students here. 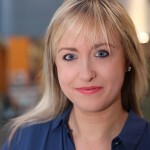 Within the Recruitment Team particularly we work closely with students on a regular basis and employ them to help us with events and presentations in schools and colleges, UCAS exhibitions, clearing and on campus events like Open Day and Taster Days. We have a fantastically enthusiastic, professional team of student ambassadors and at certain times of year we wouldn’t be able to manage without them! That’s what makes our end of year staff and student celebration event so important. The annual event was held on 18th May this year. 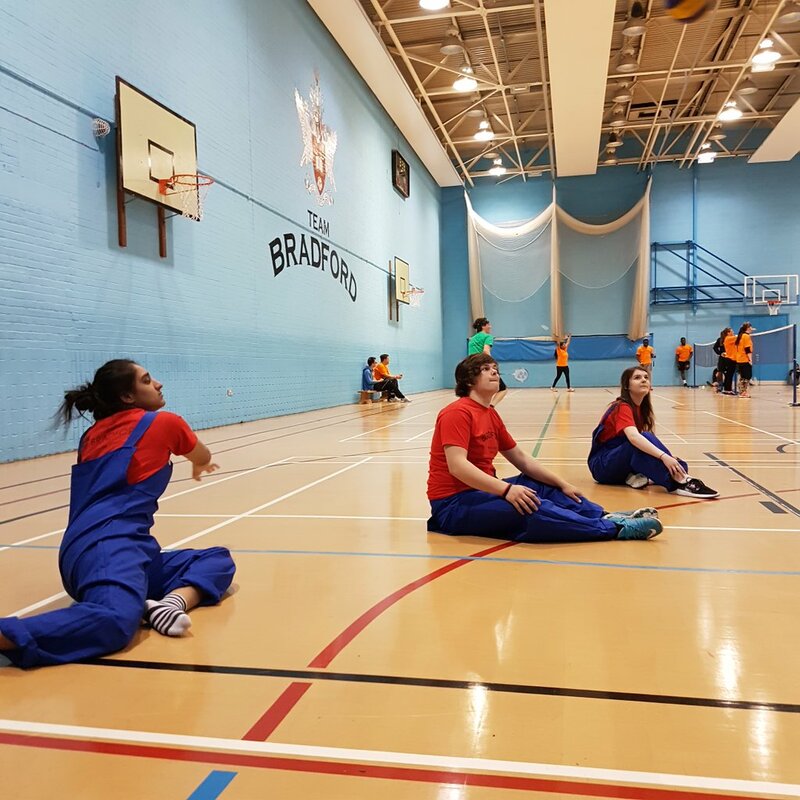 The celebratory event features a sports tournament across campus known as the Team Bradford Tournament, sport events run throughout the day with teams comprising of staff and students. This year we also had a Great Bradford Bake-Off, BBQ and Afternoon Tea. 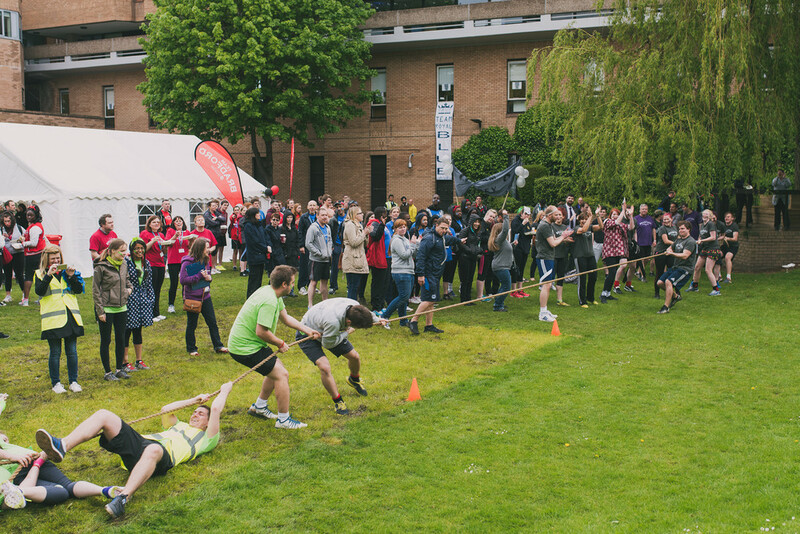 Towards the end of the day all teams meet on our outside amphitheatre area to take part in the last event of the day…Tug of War! 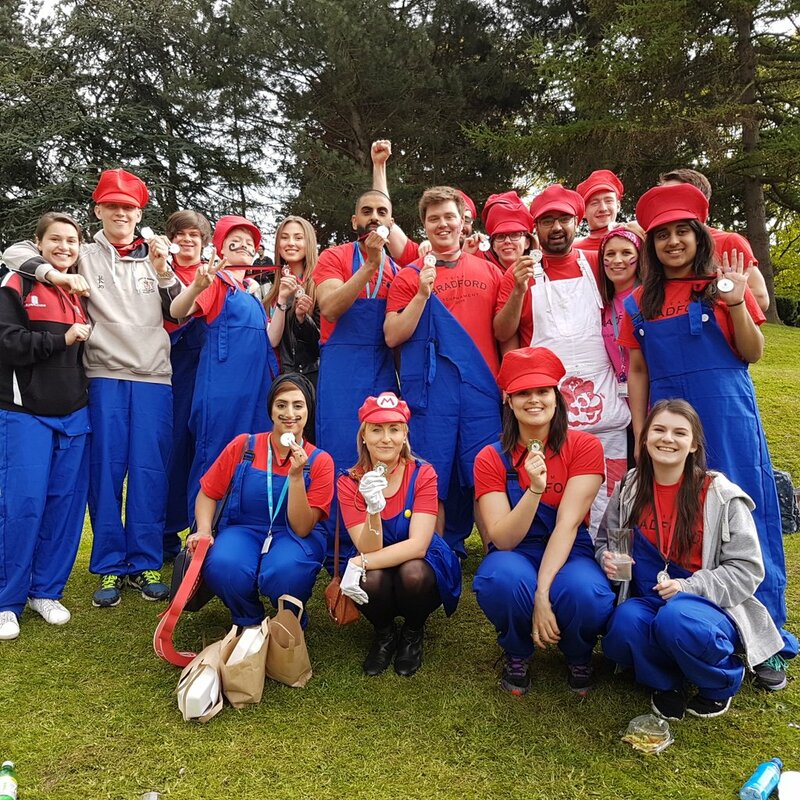 Some of the team still haven’t got their voices back… The atmosphere is electric, with staff and students from across the entire university filling the amphitheatre to cheer on their teams. 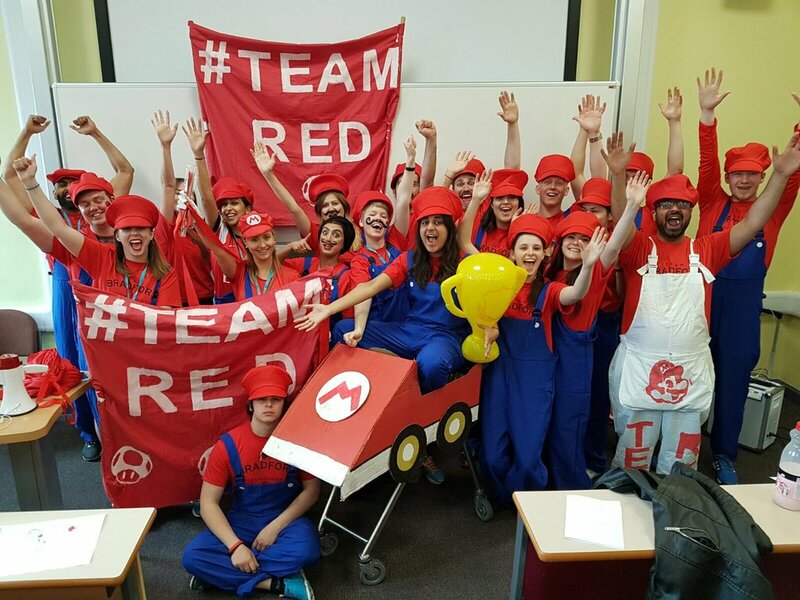 I’m proud to say that this year, out of the 18 teams competing on the day, the UK Recruitment Team (Team Red) came SECOND place! And with only one point in it! The team was made up of UK Recruitment staff, current students and a number of other staff from across our directorate. 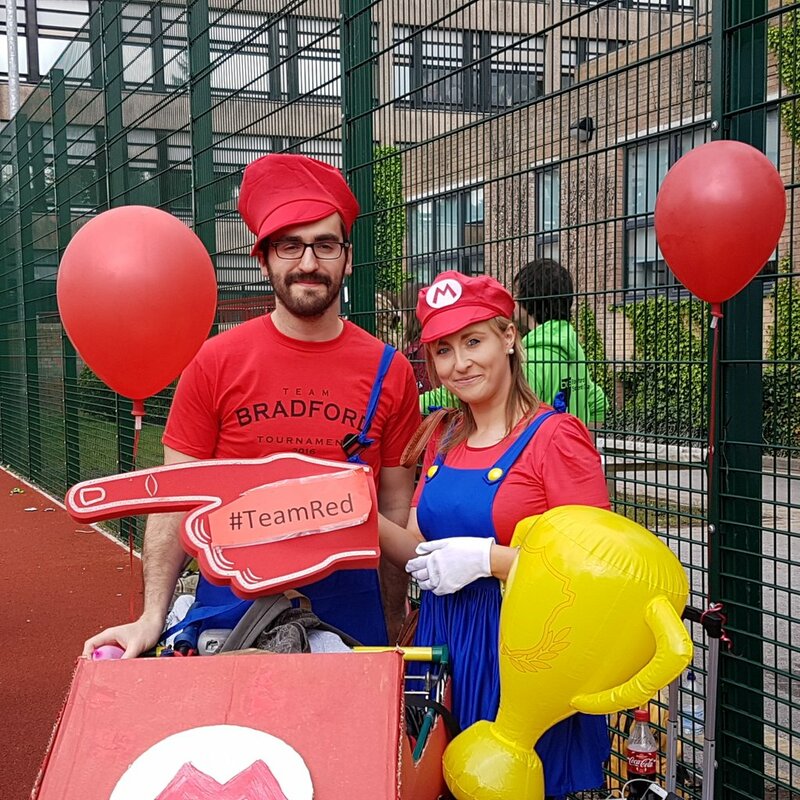 The team was mainly coordinated by Maqbool Ahmad and Sam Ridley from the Recruitment Team, who put a huge amount of effort into our Super Mario Theme (student idea…), engaging students, creating flags, banners, social media platforms, creating videos and generally gearing us all up to do an amazing job on the day. Due to their hard work and determination we secured second place as well as winning extra points for social media activity and team support on the day. Job well done! I’m hugely proud of Team Red and the fantastic efforts that went into the day. 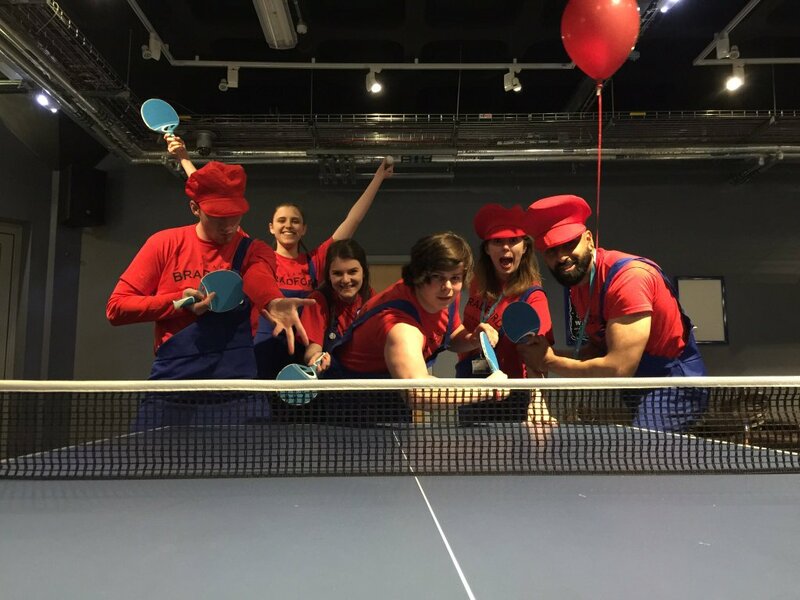 After a hectic year already with the Recruitment Team attending school and colleges events around the UK and Europe, and busy first half of the UCAS exhibition cycle, the end of year celebration gives us the chance to celebrate as a team along with our amazing student body. It is certainly one of the best team building experiences I have ever been part of, and it completely reflects what Team Bradford stands for. Please enjoy looking through the 2016 celebration day photos (no laughing at our outfits…), and fingers crossed for next year. Team Red with their well deserved Silver Medals. For more pictures of the day, please visit out Flickr page.